This is a book you can dip into and be nourished by again and again. It will surprise you, move you and delight you. It’ll remind you of the important sparkling details in your own life, and inspire you to pay more attention to what’s around you. 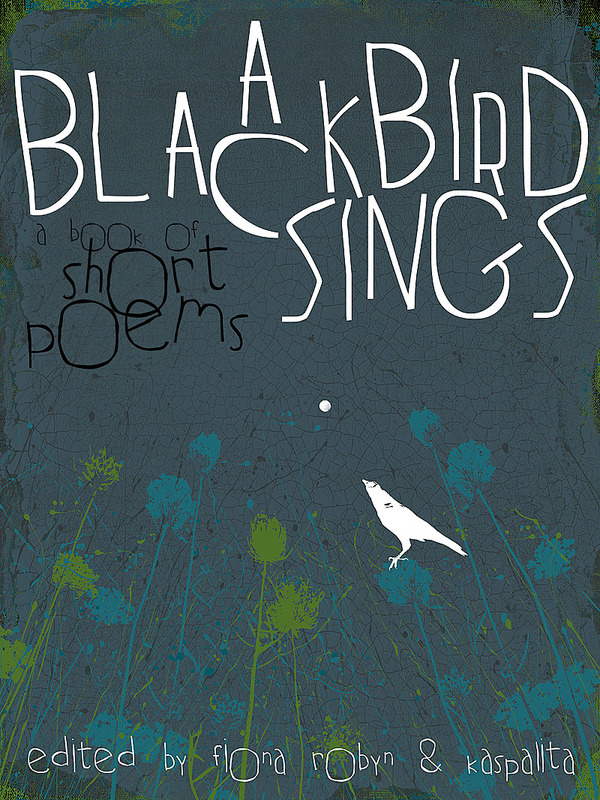 ‘A Blackbird Sings’ is the second anthology of small stones, a mindful writing form, edited by Kaspalita and Fiona Robyn. It also contains an introductory essay about what makes a good small stone, an essay about quality and unconditional love, and a seven day course if you want to have a go at writing small stones yourself. We hope it will encourage you to write a small stone or two of your own. We run a mindful writing challenge from this site every January if you get a taste for mindful writing. and I drive home from hospital with the news you might not make it. You can read more small stones at our daily blogzine, a handful of stones. Fiona writes at a small stone and Kaspa at another small stone. Our first anthology was ‘Pay Attention: a river of stones’ and is available now in paperback (UK / US) or as an ebook through Lulu.